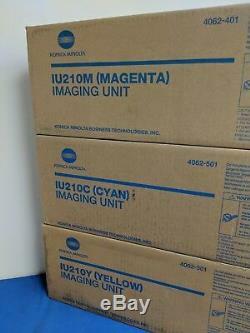 Genuine New Konica bizhub C250/C252 Imaging Unit COLOR SET IU210 C M Y ONLY!!! Boxes might have slight damage or marks. IU210 CMY COLOR Set - 1 color each per set. Works in: KM BH C250/C252. Cyan (45k yield): 4062-501 IU-210C IU210C. Magenta (45K yield): 4062-401 IU-210M IU210M. Yellow (45k yield): 4062-301 IU-210Y IU210Y. 1 color per set for a total of 3 Image Units. 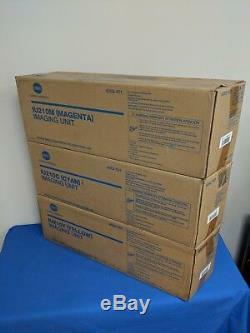 The item "Genuine New Konica bizhub C250/C252 Imaging Unit COLOR SET IU210 C M Y" is in sale since Friday, February 1, 2019. 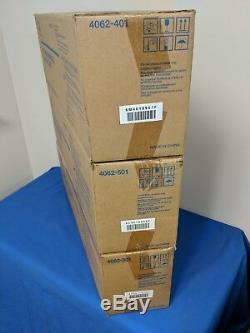 This item is in the category "Computers/Tablets & Networking\Printers, Scanners & Supplies\Printer & Scanner Parts & Accs\Laser Drums". The seller is "printstuff" and is located in Woodbridge, Virginia. This item can be shipped to United States, Canada, United Kingdom, Denmark, Romania, Slovakia, Bulgaria, Czech republic, Finland, Hungary, Latvia, Lithuania, Malta, Estonia, Australia, Greece, Portugal, Cyprus, Slovenia, Japan, China, Sweden, South Korea, Indonesia, Taiwan, Belgium, France, Hong Kong, Ireland, Netherlands, Poland, Spain, Italy, Germany, Austria, Bahamas, Israel, New Zealand, Philippines, Singapore, Switzerland, Norway, Saudi arabia, Ukraine, United arab emirates, Qatar, Kuwait, Bahrain, Croatia, Malaysia, Brazil, Chile, Colombia, Costa rica, Panama, Trinidad and tobago, Guatemala, Honduras, Jamaica, Viet nam.